You will get great results with the SuperCloner 50 Plant Cloning Machine. 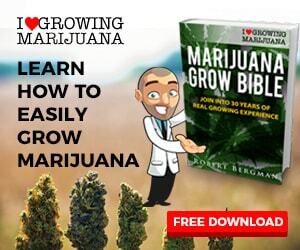 Growing your own clones can be difficult but it doesn’t have to be. 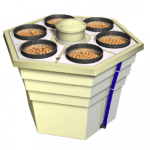 With this clone machine you can easily grow your own clones and you wont need to worry about bringing someone elses problems into your grow room. You can also use this cloner to start seedlings or even veg your plants so it is quite flexible. It is easy to run and virtually automatic and bullet proof. I like to start from seed and select the best plants to clone. That way no bugs or diseases enter my grow room. I also know exactly what I am getting because many clones being sold are mislabeled. 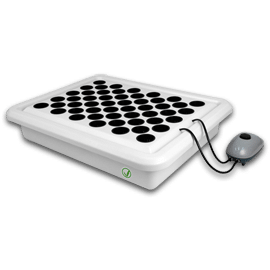 With this hydroponic cloning system from Superponics you can get up to 50 of your babies started easily in this 29.5″ L x 22″ W x 7.5″ D plant cloning machine. Take your cuttings from your mother plant, dip them in the included root cloning gel and voila! CLONES! Some growers avoid keeping mothers by cloning perpetually from plants in veg. 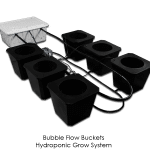 The Superponics Supercloner-50 Hydroponic Cloning System uses BubblePonics technology to effectively support up to 50-clones. Thickest and highest grade HDPE food grade UV resistant white reflective custom molded plastic to keep water temperature cool.